Paris, 26 June 2018 - 16 humanitarian and human rights organisations today urged Emmanuel Macron and the French government to use all means at their disposal to press their allies, including Saudi Arabia and the United Arab Emirates, to minimize harm to civilians during the attack on Hodeidah city, home to Yemen’s most important port. The international humanitarian conference on Yemen organized in Paris on Wednesday 27 June will be useful only if it contributes to preventing this new humanitarian disaster and improving the protection of civilians across Yemen, say NGOs. The Saudi and Emirati-led coalition launched an attack on June 13 against Houthis around Hodeidah port, on the west coast of Yemen, through which more than 70% of imports enter the country. Hodeidah is a lifeline for more than 20 million Yemenis who rely on outside aid to survive. UN Special Envoy for Yemen Martin Griffiths warned two months ago that an attack on Hodeidah could “in a single stroke, take peace off the table”. Fighting for port control also poses a disproportionate risk to civilian populations. Even before the Hodeidah attack, Yemen was facing an unprecedented humanitarian crisis, directly linked to three years of conflict and the warring parties’ restrictions on humanitarian aid and access, including the coalition-imposed sea and air blockade on parts of Yemen under Houthi control. UN humanitarian coordinator for Yemen, Lise Grande, on Friday warned of the threat of a new cholera outbreak due to a possible water system break down in Hodeidah – just months after Yemen grappled with the largest cholera epidemic in modern times with over one million suspected cases. Thousands of people have already been displaced by recent fighting and the risks to civilians from the Hodeidah offensive are all the more serious given the track record of all parties to the conflict. In three years of war, the coalition forces have repeatedly violated international humanitarian law, using explosive weapons with wide area affect in densely populated areas, bombing schools and hospitals, and blocking aid and access. The Houthi forces they are fighting have also laid antipersonnel landmines, restricted humanitarian access and indiscriminately shelled densely populated areas in Yemen. France's willingness to do more to address the crisis in Yemen is welcome. 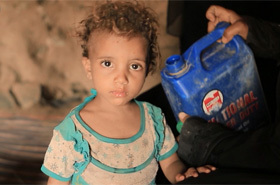 However, several NGOs have recently expressed, in an open letter to President Macron, their concerns about the humanitarian conference on Yemen of 27 June, co-chaired by Saudi Arabia – a party to the conflict –, as a major offensive is under way. The French initiative, now downgraded to a meeting of experts, will be judged on its ability to secure clear commitments from Saudi Arabia and its allies to minimize risks to civilians during the Hodeidah attack and across Yemen, NGOs said today. Publicly warn of the risks to civilians during an attack on Hodeidah and call on all parties to take immediate steps to provide safe passage to civilians fleeing, allow unimpeded access for aid and commercial imports to the broader population and access by humanitarian agencies, as required by international humanitarian law. Condemn indiscriminate and disproportionate attacks against civilians by all parties. Suspend French arms transfers to Saudi Arabia and the United Arab Emirates where there is a substantial risk of these arms being used in Yemen to commit or facilitate serious violations of international humanitarian law or international human rights law; and allow for increased parliamentary oversight over arms sales. The 15 signatory organisations are: ACAT, Alliance internationale pour la défense des droits et des libertés, Amnesty International, Action Contre la Faim, CARE France, Handicap International, Human Rights Watch, Observatoire des Armements, Norwegian refugee Council, Médecins du Monde, Première Urgence Internationale, Saferworld, Salam for Yemen, Save the Children, SumOfUs. The blockade of the coalition, which is akin to collective punishment, and the attack on Hodeidah amplify the deterioration of living conditions and access to care for civilians. France must actively pursue a conflict resolution diplomacy to limit the worsening of the humanitarian crisis." “More and better aid is urgently needed for millions faced with starvation, disease and deprivation. But only cease-fire and peace talks can end this man-made hemorrhage of human lives. The Paris conference must therefore focus on ending this senseless war. France, the US, UK have earned big money on arms sales to those waging war and we demand they use their influence to push Saudi Arabia and the UAE to the table, just as we demand that Iran use their leverage on Ansar Allah before the conflict escalates beyond hope." “Bombing civilians in Yemen is a crime, not war. France's engagement only makes sense if it does not compromise on the protection of civilians and humanitarian access throughout the Yemeni territory." “The battle of Hodeidah raises huge concerns about its potentially devastating impact on civilians throughout Yemen, already suffering during more than three years of conflict from large-scale violations by all sides, notably the Saudi-led coalition. France and Saudi Arabia have undertaken with great fanfare a humanitarian conference on Yemen. Its usefulness will be judged by its concrete results for civilians: the end of unlawful attacks on civilians, unrestricted access to humanitarian assistance, and ensuring civilians can flee the fighting for safety. France should act consistently with its claimed support for human rights in Yemen, by ending all weapons sales to the Saudis, who have repeatedly violated the laws of war and taken no action against those responsible”. "The risk to the civilian population of Hodeidah is now immense. These populations’ access to basic services will be interrupted if the assault continues or in case of attempted encirclement of the city. Drinking water distribution networks are already damaged, in an area where temperatures will soon rise to extreme levels, and cholera will re-emerge seasonally. The urgency to find a diplomatic solution for Hodeidah and its port has never been higher." "Although there is suspicion of massive French arms involvement in Yemen - including Leclerc tanks in Hodeidah province - the government has still not published its annual report to Parliament on arms sales. In doing so, the State violates its own law since the deadline for the publication of such data is set on June 1st by Law No. 2013-1168 of December 18th, 2013. This reflects a clear delay compared to other European powers (The United Kingdom, Germany, Sweden, the Netherlands) in which Parliaments have access to data on arms contracts and have broad supervisory powers in the matter." "Beyond the conflict that has killed more than 10,000 people and injured 50,000, the blockade on Yemen is deadlier than the fighting. The attack on the port of Hodeidah, the main point of entry for food and humanitarian aid, is likely to worsen the situation of this country, where 90% of food needs are imported." "The urgency of the situation in Hodeidah should more than ever convince the French government to respect the Arms Trade Treaty. More than 101,000 people signed the SumOfUs petition calling on President Macron to stop French arms exports to countries involved in the Yemeni conflict. A recent survey conducted by YouGov for SumOfUs indicates that 75% of French people are in favor of suspending these exports, while nearly 70% support greater parliamentary oversight on these issues." 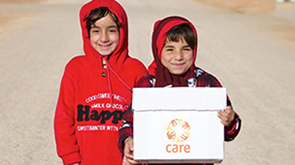 Founded in 1945, CARE is a leading humanitarian organisation fighting poverty and providing assistance in emergencies. Our emergency responses focus on the needs of the most vulnerable populations, particularly women and girls. CARE works in 93 countries, supporting 950 poverty-fighting development and humanitarian aid projects, reaching more than 62 million people directly (as per fundraising year 2017). We fight poverty and injustice in more than 80 countries around the world to help the world's people to find routes out of poverty. We also deliver emergency aid to survivors of war and natural disasters, and help people rebuild their lives in the aftermath.